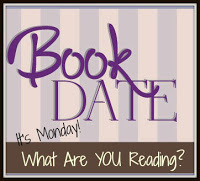 Literary Lindsey: It's Monday and I'm back! Well, I didn't mean for that to happen. I seem to be doing a good job lately of going radio silent for entire weeks. On the last Wednesday in June, I left for Portland for a work conference, a visit with my cousins, and a few days with my best friend. I originally had intentions to write blog posts before I left. That didn't happen. Then I was sure that I would have plenty of downtime to write during my trip. That didn't happen either. So the trip was good. I'm back home now and ready to catch up on those reviews (as well as the million other things that pile up when you go away!). 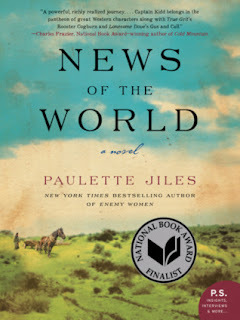 Since I last checked in, I read News of the World on the plane. I read Daring to Drive on and off during my days on the West Coast and then managed to squeeze in The Jane Austen Project on my way home. 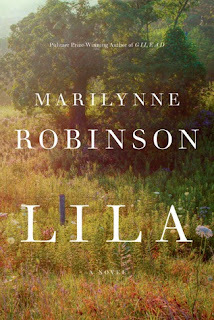 Since adjusting back to East Coast time, I've been enjoying my last foray into Gilead with Marilynne Robinson's Lila. What have you been up to? What are you reading this week? Sounds like a much needed break. Always a good thing. I recently read Daring to Drive and just loved it. Hope you enjoyed it. I thought it was really good too! She writes so engagingly for someone who is writing their first book. Hope you enjoyed the break. I enjoyed Lila, too. I read most of the Gilead books...except Gilead itself! Sounds like you had a great trip, with time for family, too. I read Gilead a while ago and then read Home and Lila pretty close together. I might have to re-read all three one day to get the full effect! Adding Lila to my wishlist. That's such a tiring time. I hope the moving process is going well! I can't wait to read The Jane Austen Project. It sounds right up my alley. Hope you enjoyed it! I didn't love The Jane Austen Project, but I know a lot of readers did. I will be interested to hear your thoughts!